Today, mainframe computers play a central role in the daily operations of most of the world’s largest corporations. While other forms of computing are used in business in various capacities, the mainframe occupies a prominent place in today’s e-business environment. In banking, finance, health care, insurance, utilities, government, and a multitude of other public and private enterprises, the mainframe computer continues to provide the foundation of large-scale computing to modern business. The reasons for mainframe use are many, but generally fall into one or more of the following categories: capacity, scalability, integrity and security, availability, access to large amounts of data, system management, and autonomic capabilities. 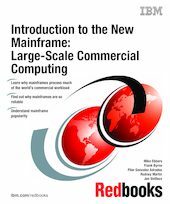 This IBM Redbooks publication is designed for readers who already possess a basic knowledge of mainframe computing, but need a clearer understanding of how these concepts relate to mainframe planning, implementation, and operation. For readers who need more introductory information about mainframe concepts, usage, and architecture, we recommend that you complete Introduction to the New Mainframe: z/OS Basics, SG24-6366, prior to starting this book. And for more detailed information about z/OS programming topics, refer to the 11-volume book series ABCs of z/OS System Programming.